I'm often asked what the "best" market for a new freelancer to pitch is, or whether I'd recommend certain markets for a writer who's just getting started. Well, there is such a market, but it is dependent on who you are and what your experience and background are. In short, the best market (or markets) for a new freelancer is you can write for more than once. Here's what I mean--there are two basic ways to go about pitching an idea. One is to come up with an idea first, and then try to find a potential market for it. That’s what I used to recommend for new writers. The second method is to find a market that you want to write for, and then come up with potential ideas for it. Today, I suggest that writers use the second method. Here’s why. Marketing, especially when you’re a new freelancer, takes a huge amount of time. If you can find a market that you can write for multiple times, you cut your marketing time. It’s much easier to sell an idea to an editor you’ve worked with before than to someone completely new. I learned this lesson the hard way. I was so focused on coming up with saleable ideas as a new freelancer that I wound up doing a lot of “one-shots,” where I would write about one subject for one market and then move on. So, I wrote one story on a charity car show for The Lion magazine, and then moved on. I wrote a profile for a magazine called Accent on Living, and moved on. I wrote a story for Editor & Publisher, and moved on. I sold a piece to a (now defunct) health website…and moved on. You’re getting the idea, right? Each of those stories took a lot of time to pitch, plus I had to research and write them afterwards. By never writing for those markets again, I wasted my time. My career took off when I started to focus on markets that reflected more of my interests. For example, when I started freelancing fulltime, I was planning my wedding. Then, and as a newlywed, I had lots of bridal-related ideas. Well, I didn’t write just one story for Bridal Guide. Because I came up with more ideas, I got more assignments. And then my editor started approaching me to assign ideas she’d come up with for me. When I sold a piece to For the Bride, another national market, the same thing happened. Yes, I was still pitching, but now I was a known entity to my editor, and she responded more quickly than she would have to a complete stranger—and also reached out to assign ideas she had come up with to me. So forget about selling one idea to one market. So start with markets you can write for more than once, and work with the goal of writing for that publication multiple times. That tip alone will make you more efficient (and smarter!) from the start. **What about you, readers? Did you look for markets you could write for more than once as a new freelancer? Or, like me, did you look for an idea first, and then locate an appropriate market for it? For more advice about freelancing, check out my latest book, Writer for Hire: 101 Secrets to Freelance Success. And if you're a new freelancer, stay tuned--I'm going to announce THE book that will take you from unpublished to published and paid! Query Critique #2: Is this a True-Life Feature or a Service Piece? I am a freelance writer with a flare [flair] for turning personal stories into everyone-can-relate experiences. I have done an initial interview with Sandra [good], whom I came to know through a writing project [unnecessary] and I have published several pieces in parenting magazines [such as? names?] and would be happy to send them upon request. I think the writer has a solid idea, but needs to decide which direction she's going to take to sell this idea. Another thought--what about some stats? How many adults agree to be guardians of children? How common is it to have to step in as a guardian? These kinds of stats--showing how likely this issue is to affect readers--can help the editor say "yes" to a pitch. Readers, what do you think? Agree or disagree with my comments? Thanks to the writer who submitted this query. I'd say she has a great start, but the query could be much more compelling. What about citing a recent happiness survey, or a surprising fact about happiness--for example, that studies show that winning the lottery doesn't improve happiness past a few weeks? This would give the pitch a time peg and make it more specific. I'd also list some specific suggested five-minute happiness fixes instead of using the quotes she's included. I felt the query read a little too long and could have been more tightly focused to the publication's audience/readers to make it more salable. Get those Queries In...The Query Critique is Back! It's simple to participate: send your query as an email (no attachments, please) to dollarsanddeadlines@gmail.com with "query" in the subject line. Then watch the blog to see if yours is chosen for critique. This is an opportunity for you to have a seasoned pro (um, that would be me--I've written hundreds of queries that sold, and edited hundreds more!) take a look at your pitch, and help you improve it--and hopefully sell it as well. I look forward to seeing your queries soon! Please get them to me by Monday, January 20, but the earlier, the better--the first ones in have a higher chance of being chosen. 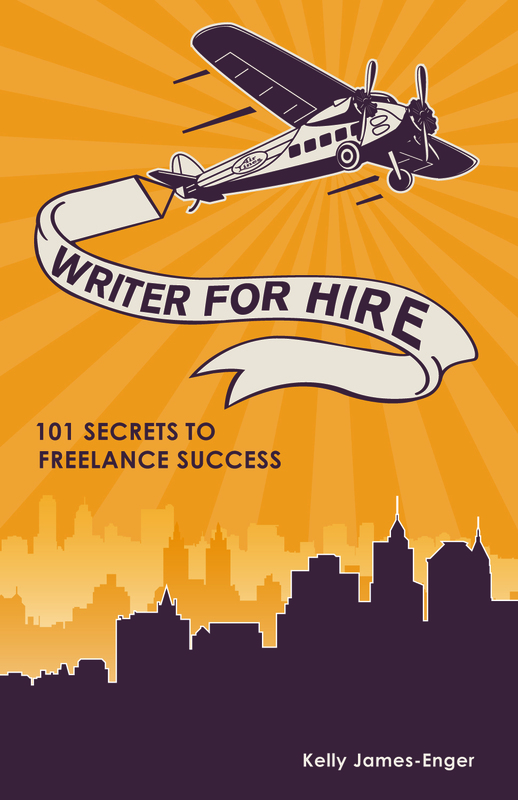 **In the meantime, you know the drill...if you're looking for more great advice about freelancing, check out Writer for Hire: 101 Secrets to Freelance Success. Hi, readers! Got a query you're struggling with, and would like some feedback on? Had a query rejected and wish you knew why? Or simply want a pro to take a look at your latest pitch? And do me a favor. Please comment on this post if you're planning to participate and let me know! Thanks. New to freelancing? Feel like you're doing nothing more than sending out queries and getting, well, nowhere? Welcome to the club. When you launch a freelance business, you spend the majority of your time marketing. As you develop experience and work for clients, though, you can expect to spend less time overall selling yourself. Yet you should plan on devoting a significant chunk of time, at least 20 percent, to marketing your business. Query letters. If you write for magazines, whether print or online, a powerful query is your first line of attack. Every query should open with a compelling lead, make the case for the story, show the editor how you plan to approach the topic, and describe why you’re uniquely qualified to write it. LOIs. Second only to query letters in the freelancer’s arsenal is the LOI, or letter of introduction. You should have a template on hand that you can customize for potential clients, whether you’re contacting a custom publisher, a business, or a potential ghostwriting client. A template you can tweak lets you strike fast if you see a freelancing post or find out about a possible gig. The client will usually hire one of the first qualified responders, so you want to be as close to the head of the line as you can. Your website. You need one. Period. Your website should be designed to attract your primary target clients. If you’re writing for businesses, play up that aspect. If you freelance for magazines, include clips on your site and a list of publications you’ve worked for. At the least, your website should include: a description of the kind of work you do; a brief biography; and contact information. You may also want to list of prior projects or publications or client testimonials as well. Your email signature. One of the easiest yet overlooked ways to market yourself is to create an email signature that describes the work you do. Change it occasionally to highlight different aspects of your business. Satisfied clients. Clients who are happy with your work are one of the best ways to market yourself. Once you’ve proven yourself, ask your editor if she knows of other editors looking for freelancers. If you feel that’s too pushy, at least ask her to pass your name along to colleagues who might hire you in the future. Article and book sources. I’ve interviewed hundreds of sources over the years, most of who are professionals in the health and fitness fields. I let them know that I ghostwrite and coauthor books, and have had work come through recommendations because of the way I treated a source. Online job posts. Believe it or not, I’ve found good-paying work through online jobsites like craigslist. Check out http://craigslist.org, www.elance.com, www.online-writing-jobs.com, and www.guru.com for freelance job postings. Yes, most of the work is low-paying but there are legitimate gigs to be found if you don’t mind trawling through the dreck. Networking. Hate the word? Put a different spin on it. Don’t call it networking. Don’t call it anything. Just make an effort to create relationships with other humans, help them when you can, and connect. The person you connect with may not be a potential client, but he may know someone who is. The more people who know what you do, the better. One-on-one meetings. Every year, ASJA holds its annual writers’ conference in New York. Members can attend “Personal Pitch” to meet editors and agents. If you do a lot of work for businesses, it’s worth it to join your local chamber of commerce or attend other local networking events to introduce yourself to business owners. Social media. Unlike a website, a blog isn’t essential, but it can help you market yourself and your business. Same goes for your Twitter, Facebook, and LinkedIn accounts. Each should contain a brief blurb about the kind of work you do, again targeting potential clients. Bottom line is to avoid a common marketing mistake, and one I’ve made in the past. You get busy with work and you don’t market for a while. Then after you crawl out from under your deadlines, you discover that you have to scramble to line up assignments. That’s why you should set aside some time, even if it’s just a few hours a week, to market. That may mean sending out a query or two, touching base with your regular clients, or checking online sites for possible gigs. Consistent marketing will make for more consistent work, and consistent money. ***This post is drawn from Secret 18: Market constantly, from Writer for Hire: 101 Secrets to Freelance Success. For the last couple of years, Kristine Meldrum Denholm has asked writers about what their coming goals are for the coming year. Check out her roundup post, to see how your goals stack up--and possibly add some new ones as well! Hi, readers, and happy new year! This is my favorite day of the year. To me, January 1 represents promise, potential, possibility. It's also when I set my goals for the year, and I suggest you do the same for your career. Because I'm working today (I have a story due tomorrow! ), I'm reposting last year's January 1 post. The advice is just as good now as it was then! Before you look forward, you first must look back. At the end of each year, I review what types of writing work I performed, for whom, and how much money I made as a result. I also add up the amount I made fromselling reprints and from speaking engagements so I know how much I’m making from both activities, and I look for trends, both good and bad. After you’ve set an annual income goal, determine how you’ll get there. How many hours must you write to earn that income? If you’re freelancing fulltime, the answer may be as many as necessary. Having adaily financial goal can help keep you on track. If your goal is to make $30,000 a year from freelancing, that averages to $2,500 a month or $125 a day (with four weeks off during the year.) In other words, if you can average that amount of income 240 days a year, you can make $30,000 this year. Make sense? By setting monthly, weekly or daily financial targets, you’ll be on your way to achieving your overall financial goal this year. But remember that your writing career isn’t only about the money. Your goals may also include non-financial ones like spending more time writing fiction or developing a stronger voice. (One of my goals last year was to finish my latest novel, The Honesty Index, and get it into print. And I did! That's why I suggest you build writing time into your schedule for projects that don’t produce income (at least not yet) but are important to you for other reasons. Even though I write for a living, I give myself time to write for myself as well. After all, if you only focus on the bottom line and continually take work that bores or frustrates you, you’ll be likely to become bored and frustrated with your career as well. Instead, strive for a balance between the money you want to make and the work you want to do—and both you and your bank account will be better off in 2013. ***I've got a great list of blog topics for this year, so stay tuned. If you have a question or subject you'd like me to address on the blog, tell me so in a comment below. And in the meantime, thanks to all who have bought Writer for Hire: 101 Secrets to Freelance Success. I'll have more book news soon, and I'll be conducting my annual freelance income survey again soon, so stay tuned!